When O Main Ya was in fourth grade, she faced the challenge of reading the book My Cat. As a refugee, the English language was new to her and reading this book seemed like an impossible feat, but O Main kept trying to understand it. She eventually was able to read the book, and her outlook on life was forever changed. As a top ranked member of her graduating class at Hartford Public High School, O Main is a long way from the nine year old trying to make sense of My Cat. She is heading off to Utica College in the fall to study business and has been recognized for her academic accomplishments with awards such as the Chemistry Award for highest average, the American Literature Award and the United States History Award both for all around excellence in the subjects. O Main is also on the honor roll. Even more notable than her academic accomplishments are O Main’s contributions to her community. She plays an important role in helping her family and neighbors. 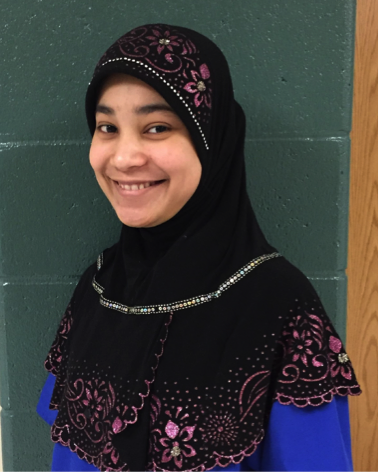 O Main also helps other refugees by translating for them and helping with paperwork because she remembers what it was like to be in their position and wants to be the help that her family did not have.